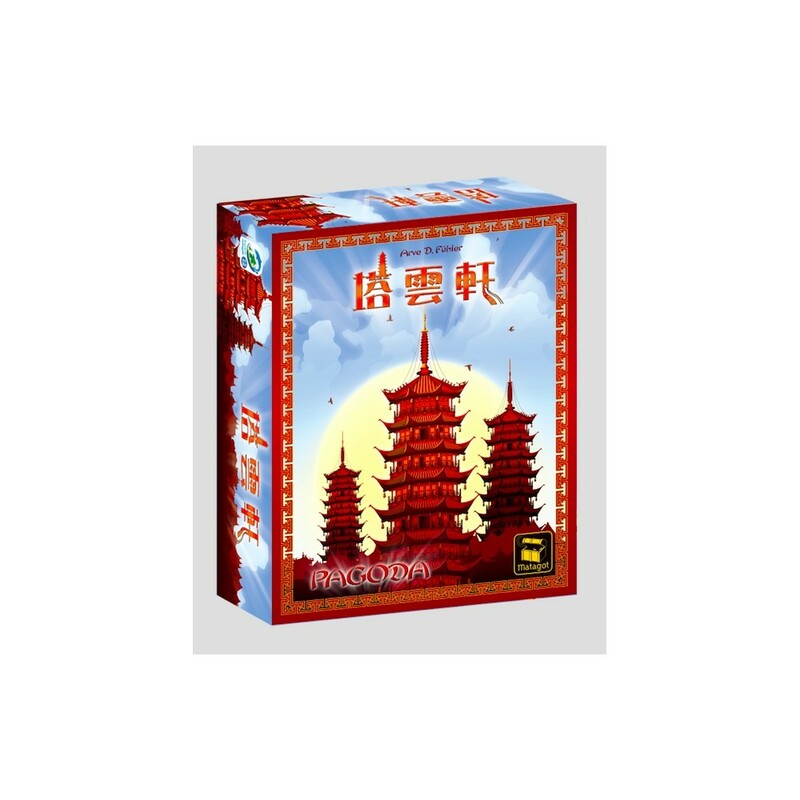 Pagoda is a two-player only game in which players compete to build multiple layers of up to six pagodas. 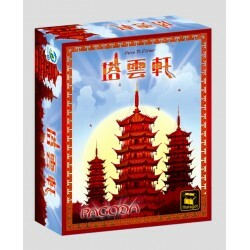 Each player has five face-up and two face-down colored cards, and they use these cards to build colored pillars and levels of the pagoda. 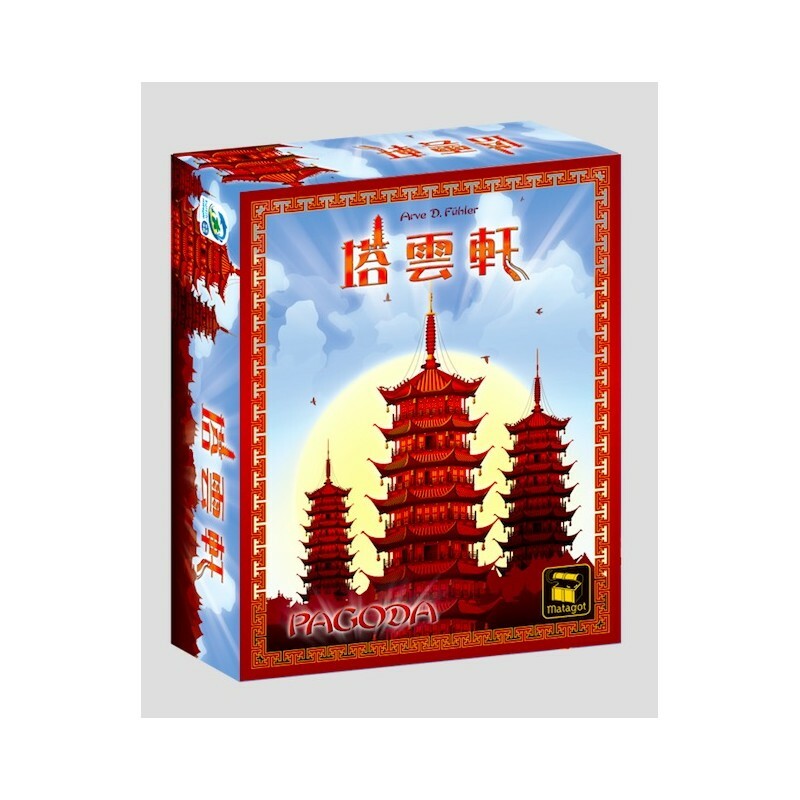 Once a pillar has been placed on the ground floor, all other pillars placed must be of the same color. When someone places the fourth pillar on a level, he places a floor tile of the pillars' color on top, with this tile have colored dots to indicate which color of pillar can be placed on top.